The London arm of an Irish suicide prevention charity – officially opened only last year – is under investigation by the British charity regulator and its own biggest backer, Ireland’s Department of Foreign Affairs and Trade (DFAT). Between 2013 and the opening of its London office last year the charity received €130,000 from DFAT’s Emigrant Support Programme. But even before a TV expose in Dublin drew attention to lavish personal spending by the founder and his family on a huge scale The Charity Commission in this country had red flagged the accounts of its UK office, giving only ‘qualified’ or limited approval to its accounts. 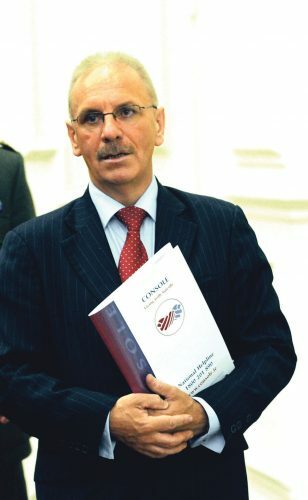 The group’s founder and chief executive, Paul Kelly – who appeared on UK TV with the family of the late Gary Speed who had donated a consulting room to Console’s office near Buckingham Palace – resigned last week on 23 June after the latest disclosures that hundreds of thousands of supporters’ euro had been spent on designer clothes, luxury flight, foreign holidays and expensive high performance cars. He and his wife Patricia, at the centre of the investigation, and their son Tim, spent almost €500,000 on eleven of Console’s twenty credit cards in one short period. The family of the late Welsh footballer Gary Speed donated a counselling room to the UK office of Console to help prevent others succumbing to suicidal despair without knowing founder Paul Kelly (above, at the House of Lords last autumn for the formal opening of the London office) reportedly used donations on personal spending sprees by his family. The man brought in to tidy it all up and prevent the Kelly family from accessing any of the charity’s money or records said that given the spending patterns it was only realistic to expect similar disclosures for the most recent financial year.The audit of its London branch prompted DFAT to say it has frozen Console’s application for the next round of Emigrant Support Programme funding out of the Embassy of Ireland. It had received received grants in each of the last three annual funding rounds. 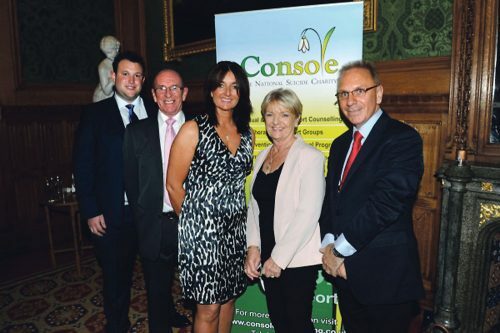 Console UK received almost €130,000 from the DFAT between 2013 and 2015 for “the establishment and ongoing operation of its services in London for the benefit of the Irish community”. Furthermore, Console Ireland incurred expenditure of in excess of €140,000 in relation to Console UK between 2012 and 2014 but this was not disclosed in either Console Ireland’s audited financial statements or in Console UK’s accounts. The original audit also found that Paul Kelly’s son, Tim Kelly, was paid £31,300 – or £600 a week, tax free – as Console UK’s Director of Services. Further questions have arisen around transactions between the Irish and UK branches after properties and bank accounts were revealed at the High Court in Dublin which was this week hearing various applications related to the charity. Searches were also being carried out in relation to three linked properties in Kerry, Cork and Galway and a Paypal account used to receive donations to Console, the High Court in Dublin was told. Keith Farry BL, a lawyer acting for Console, is seeking to have this account ring-fenced as soon as full details of it are obtained. He also sought the court’s permission to put Natwest Bank on notice of the High Court’s orders for June 30. This was after it was revealed that two sums totalling £31,684 on the May 2015 accounts for Console UK were paid from a Natwest account to the Irish organisation for providing management and administration services, including consultancy work. Console UK is the subject of a regulatory investigation by the Charity Commission in relation to the accusations of fund mismanagement. 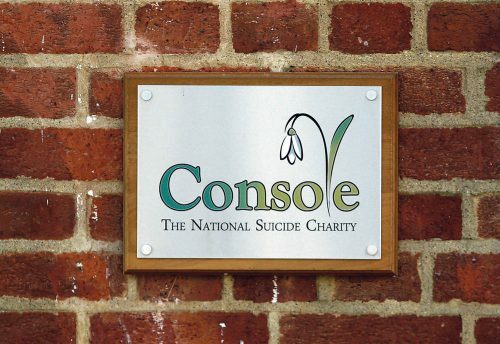 A spokesperson for the Commission said: “The Charity Commission has significant regulatory concerns regarding the UK charity Console Suicide Prevention Limited. “We have opened a regulatory case and engaged with the charity outlining these concerns. We are liaising with all required UK and Eire authorities.” Console was set up by Paul Kelly after his younger sister took her own life in 2002. It offers support to those affected by suicide, a network of national counselling centres, and a free 24-hour suicide prevention helpline. It expanded into this country after Mr Kelly said he was approached by the NHS and the London Metropolitan Police about suicides on Tube lines. The UK arm of the charity was backed by the family of former Welsh footballer Gary Speed, who committed suicide in 2011. They donated counselling rooms, the funds for which were generated by various celebrity charity golf events. Meanwhile, in light of the revelations against his organisations, Mr Kelly has been asked to give up his 2014 (Irish) People of the Year award. The Rehab Group, which gives out the accolades, has requested that the former CEO return the accolade in order to “protect the standing and integrity of the awards”. Ironically, Rehab was the subject of an angry public backlash two years ago when it emerged its CEO received a €240,000 salary and more than €400,000 in consultancy fees was paid to a former board member who was a close associate of Fine Gael and Taoiseach Enda Kenny. Payments, and perks like top of the range company cars, and pension top ups for directors, were taken out of charitable contributions. The charity said it saw a €2 million drop in contributions in its most recent financial year as a direct result.